The NFL sanctioned New England Patriots quarterback and Super Bowl MVP Tom Brady for his role in a AFC Championship cheating scandal that found game balls were intentionally under-inflated below game regulations, making them easier to throw. Unless he appeals, Brady will miss the first four games of the season. The Patriots were fined $1 million and two draft picks. 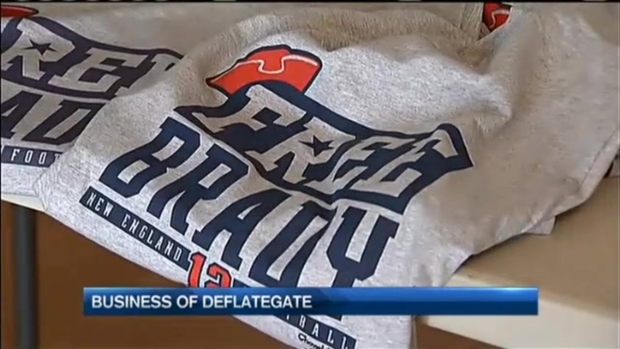 Salem State University says no public funds were used to pay Tom Brady's $170,000 fee for a speech at the school last month, the quarterback's first public appearance after the NFL concluded that he probably knew New England Patriots employees had a role in deflating footballs. A spokeswoman for the university north of Boston says the speech, scheduled well before the deflated footballs controversy, was paid for by the nonprofit Salem State University Foundation through ticket sales and corporate sponsorships. A largely supportive crowd of 4,000 people attended, some paying about $100 for a ticket. Students paid $15. The foundation has been bringing distinguished speakers to campus for more than 30 years. 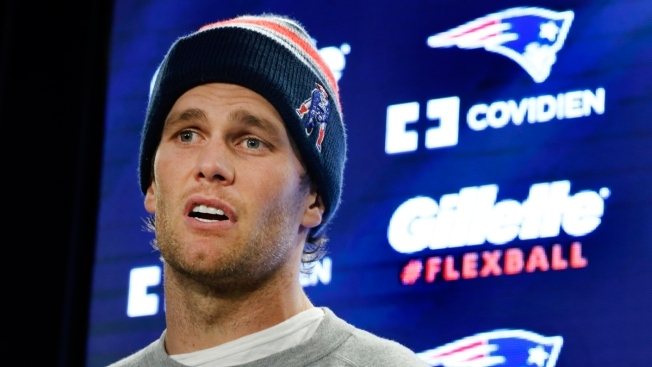 The NFL fined the team $1 million, and Brady was suspended for four games. He has appealed.